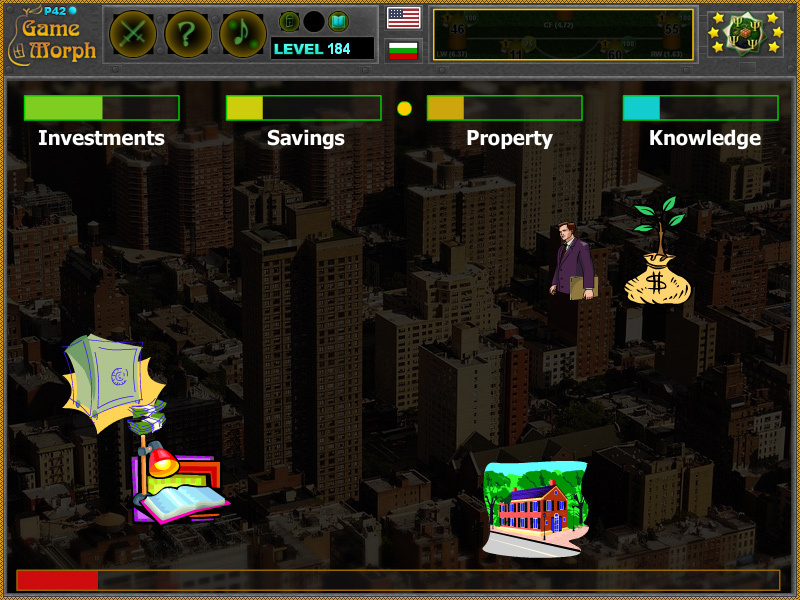 4 financial actives in a fun online economics learning game. "Actives Game" is a free online game to study good finances and actives. Move with the mouse and get investments, savings, property and knowledge, which represent desirable personal finances, called Actives. 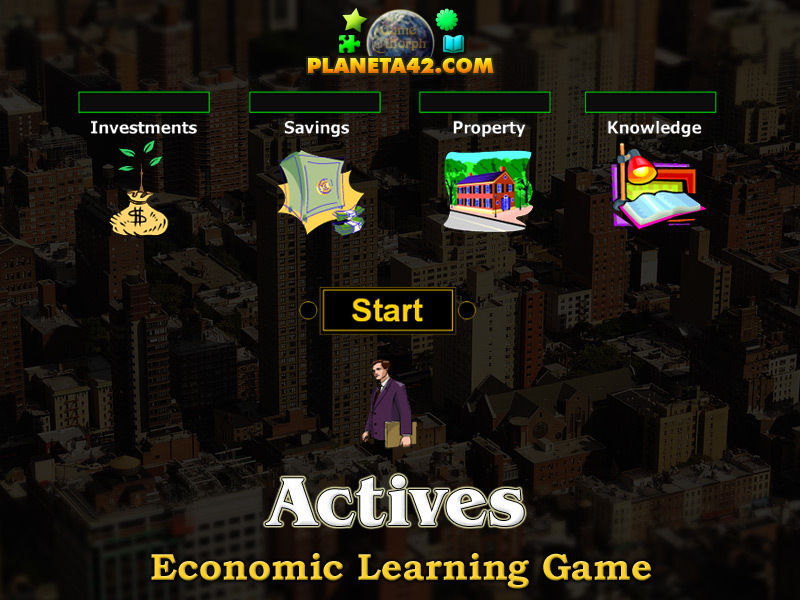 Fun educational economic game, suitable for online lessons and interactive classes. Interactive finances for kids. How to play Actives Game. Get good finances. There are 4 actives that moves in a random trajectory on the screen. Move with the mouse and get investments, savings, property and knowledge, which represent desirable personal finances called Actives. When all 4 bars are filled up you win the game. If the time runs out before the bars are filled you lose the game. Know 4 actives and get +1 Knowledge Level. In essence, the active is any property from which you may get money in the future. The most simple active is the investment. You may invest money in the bank as deposit and get interest rate. You may invest in growing an apple tree and eat or sell apples. Another active is the saved money, as you may use them in the future. Next example is to obtain property, like a garage, or apartment or land, and lend them to other people or company. And another active neglected by most is the Knowledge. I know how to make games and this may bring me money in the future. 1. What is Active in finances? 3. What are the actives examples?